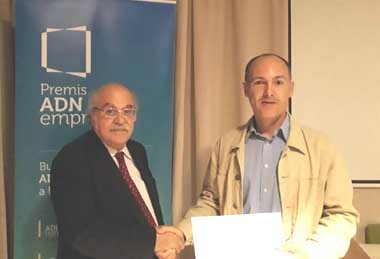 Jordi Santacana received from the hands of Dr. Andreu Mas-Colell the first AND Empren Prize in category AND Starter, endowed with € 4,000. This award values the entrepreneurial career of CATUAV, its resilience and its ability to be a reference for all those who start entrepreneurship. Promoted by Torelló City Council, MasVinyoles Venture Factory and UVic-UCC, this year they have celebrated their first edition.